The argument isn’t a new one: Brooklyn is where the creative juices get flowing. The scenery, the people, the energy: walking around, you can feel the ambition in each step. As a consequence of the neighborhood, ambiance, and offerings at our Bond Gowanus facility, it has turned into something of a production heaven! If you’re a production company based in Brooklyn, below are just a few of the reasons why you should consider our Gowanus location for your next outfitting. IMBY shooting their fall line in the Bond Gowanus Production Studio. Bar none, Bond Gowanus is unique in its production offerings to members. With a dedicated a photo studio and sound booth, members are able to eliminate costly rental fees from their bottom line and accomplish most of their filming or recording in house. Similar to conference rooms, both spaces are available free of charge for members via a free allotment of time per month. Paired with proper hookups and complementary equipment on site, the space is a true ‘plug and play’ setup that’s ready for your next project. How do people use the spaces? The only bounds are placed at the edges of your imagination. While the sound booth is most ideal for voice overs, podcasts, and sound effect captures, the production room carries fewer limitations. Stocked with complimentary equipment and the ability to rent additional items from our members/partners BiB Media & Full English, the space has been used for anything from fashion cataloguing, interviews, product shots, general how-to's or online content, and headshots/photoshoots. The biggest asset in shared spaces are the communities they cultivate. With over a quarter of the building being in film and media, you’re bound to make a friend or two in the industry. Not only is this ideal for pure camaraderie and talking shop, your next client, partner, or project can be found within the building. When stepping back and realizing the community around you can stand as a benefit to your business and professional growth, you’re able to better tap into the potential around you! Bond Gowanus Member, Kieran from Full English Post set up a recording studio in his office. A testament to the model: Success, a documentary about an NYC school’s soccer chapter was produced by members Arch Rivals, with the sound engineering and cleaning done by members Full English Post. Even a few of the scenes themselves were shot at our location! It’s incredible to see the projects and partnerships that arise simply via coexistence. 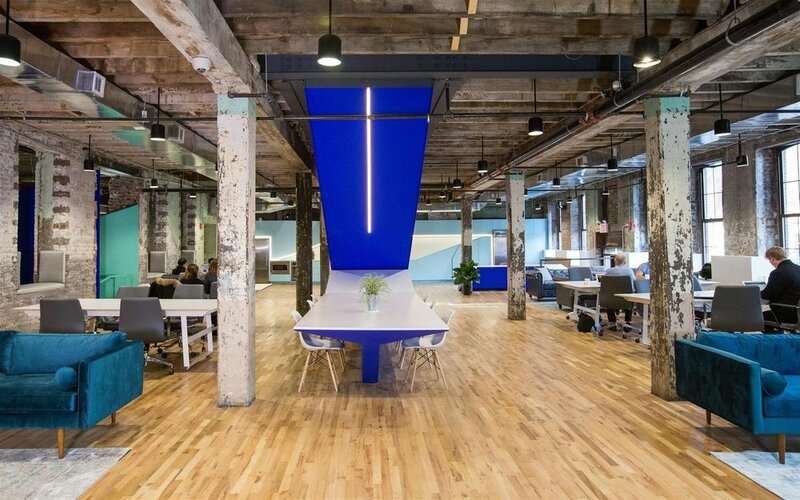 The space is also the perfect place to render/receive feedback or to strut your stuff! We'll frequently host events or screenings dedicated to member creations. The community and its staff are your greatest advocates when it comes to spreading the word. An underrated component of Bond Gowanus is the accessibility the space offers to businesses regardless of the time of day. While we aren’t staffed outside of business hours, the facility is still fully functioning regardless of the time of night. Burning the midnight oil has never been more convenient, than being in a space where the coffee still flows, the lights are still on and people are still around and being productive. The weekends are when creativity thrives. The 9-5'ers have cleared out for a few days, and the facility comes alive with the folks whose work week doesn't stop when the sun sets on Friday. Facilities staff are still on site to make sure the lights are on and the refreshments are still available. The doors are locked, but obviously the facility is yours for client meetings and guests when we aren't around. Don't limit yourself in a facility that isn't running around the clock. While an inherently elementary component of the facility, the pure style and construction of it is in itself an added utility to production companies. Being at street level, load-in / load-out is no longer a migraine, and there aren’t any pesky freight rules or costs to take into account. Multiple elevators at the far end of the building make transporting equipment seamless, with locked entry prohibiting undesired access to your items or property. Security cameras sneakily hidden throughout the common areas keep a watchful eye as items go in and out, with all units secured individually by lock and key rather than a simple security card. Humanity’s greatest gripe with Brooklyn: accessibility. While we aren’t in charge of re-routing the subway lines, more and more focus is being put into the Gowanus area when it comes to future projects. The F/G stop is a block away, with Manhattan being only three stops down the line. The R train at Union Street is an underutilized alternative, getting you up to midtown in under 30 minutes, and only two stops from Barclays for infinite access. Coworking by definition is a much more malleable solution for production teams. There aren’t any strict time commitments or procedures, security deposits or up front requirements are often abbreviated, and teams are often smaller and more lean so direct answers are expedited. Not to toot our own horn, but Bond Collective has been around the block when it comes to production flexibility, in terms of both office and shoot space. We understand the production cycle, and do want to explore scalable operations by the week/month based on your requirement and staffing. We understand not everyone operates on the same calendar/clock, and that our ability to accommodate production folks needs to be just as flexible. Reception area at Bond Gowanus. Our friendly community staff is your greatest asset when it comes to managing day to day operations. A smiling face greets staff, clients, and guests when they walk through the door, offering them a comfortable place to sit and refreshments to occupy their time. Need help with an introduction to another member you need help or advice from? A last minute booking stressing you out? We're here to help. The same is true for our facilities staff! Production is a notoriously hefty field, with various installs, security, and storage requirements. Our community handyman is available for a strong variety of tasks and odd jobs. He is also the hero that repaints the cyc wall in the production room after every usage, so that the shots you get in the space can be as crisp and clean as possible. They help to keep the coffee flowing, the floors clean, and anything/everything in between. A subject of the neighborhood, design, and our active efforts, Bond Gowanus has become a cultivator for production talent and execution. Accessibility and flexibility are one of the many reasons why the environment and assets can be a huge attribute to any growing company. Stop in today for a first hand look into how the facility can aid your day to day operations and join our growing community of creatives. BOOK OUR PRODUCTION OUR SOUND STUDIO TODAY! Available to members and non-members. Affordable, friendly, and professional, the production room at our Gowanus facility is a production companies' dream come true. A blank slate available for your creative genius, the room features a constantly re-painted cyc wall, with equipment for rent via an in-house provider. The production room is available for rent hourly, or on half day and full day assignments. We'll be in touch to complete your booking.